If you have been thoroughly successful in your career and reaping the rewards of your accomplishments, chances are you owe your achievements to being given a good education. Through the discipline and love for studying instilled by your teachers, these paved the way to your own personal success. Most of us look back with fondness over a certain teacher that helped inspire us in our formative years and laid the groundwork for how we strive to attain our goals. 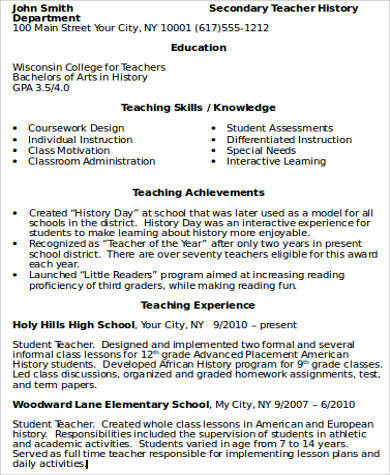 Our Sample Resumes for teachers will help applicants for a teaching position define their skills in teaching. 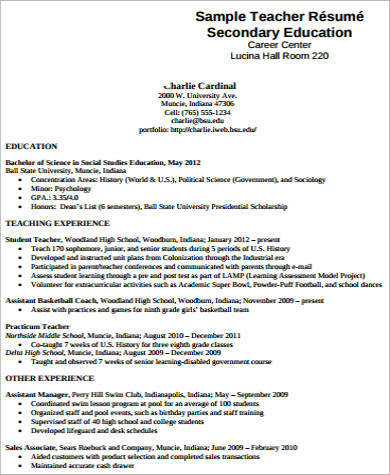 Besides experience, the outline will guide you on your objectives for a good strategy in instructional performance needed to get you hired. 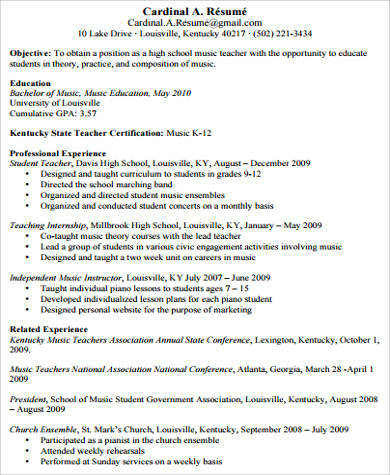 Enumerating your skills as an educator is probably the easiest thing to do compared to other job positions. 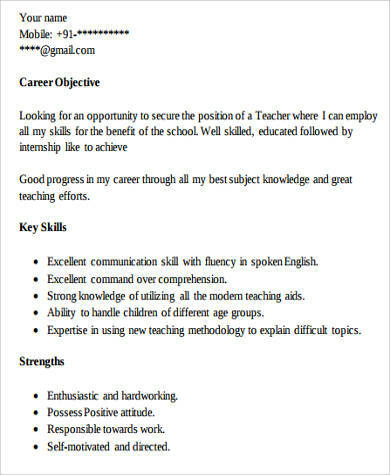 A teacher’s duties, goals, and tasks are pretty well defined and the skills are quite precise. 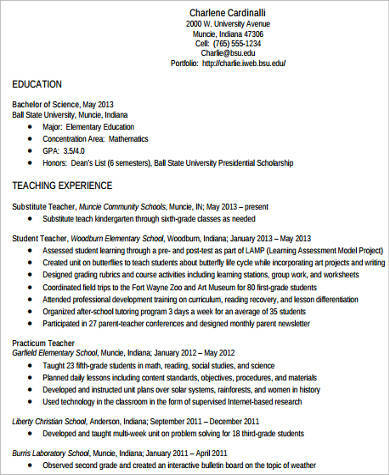 For example, a secondary school teaching job applicant is expected to have tasks different from college teachers and higher education faculty members. keep them acquainted with all current updates on math, science, information technology, and social and cultural affairs. 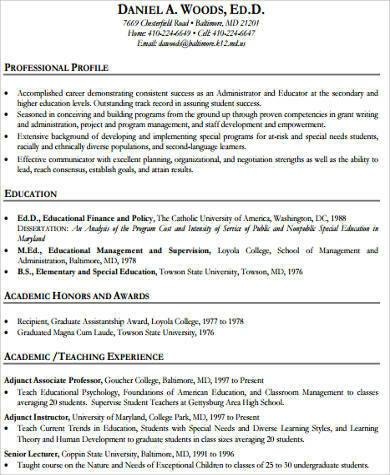 Our Sample Blank Resumes and Sample General Resumes are available for downloading in case applicants need a generalized outlay on their resumes or if they would rather fill their objectives, duties, and tasks themselves based on their work principles. Like everything else in life, everything starts small before moving on to bigger things. One often overlooked aspect is how important primary school teachers are in every academic formation. Without the basic fundamental steps of learning, it wouldn’t be possible to attain higher education. That’s how significant primary school teachers are. The development of basic communication skills and the ability to acquire logical judgment and critical thinking are usually obtained in our formative years, and we have our elementary teachers to thank for in that aspect. 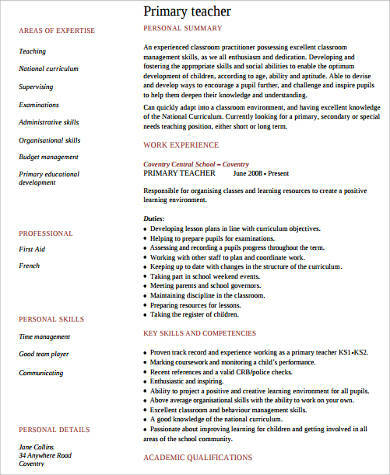 Formative year development is a highly critical period that needs the right kind of teacher with enough patience and ability to accomplish all these things in school. 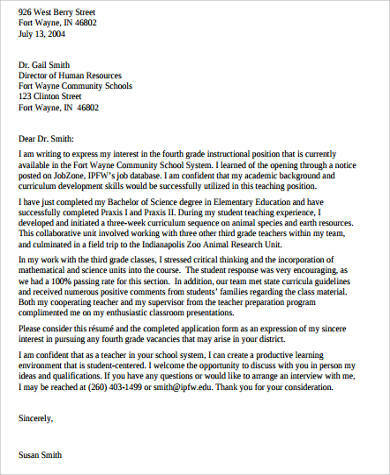 Our Sample Elementary Teacher Resumes are free to edit, download and print for those applying to teach in the primary level. 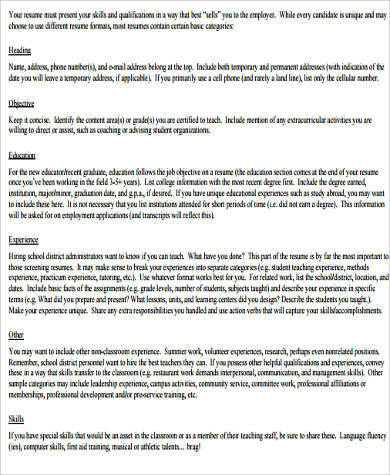 These are all outlined with the basic objectives, duties, and responsibilities that applicants can modify according to their specifics. These can be downloaded in either Word Doc or PDF file.